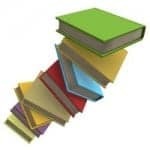 By Melissa Leave a Comment - The content of this website often contains affiliate links and I may be compensated if you buy through those links (at no cost to you!). Learn more about how we make money. Last edited July 2, 2018 . 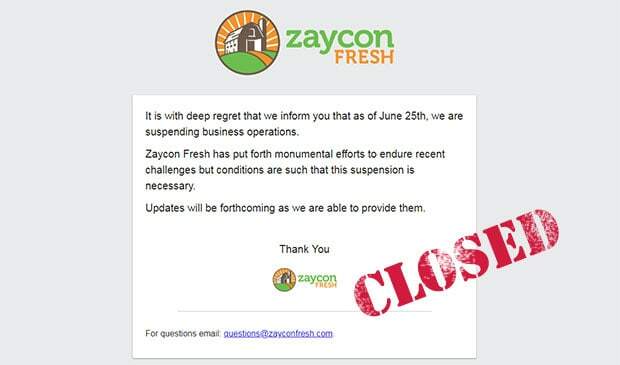 UPDATE: Unfortunately Zaycon Fresh has ceased business operations as of 6/25/18. If you had ordered meat and not received it as of that day, you're likely best off contacting your bank or credit card company, and having them stop payment, open a dispute on the charge, or process a refund if they can. Other customers have had a hard time getting a hold of anyone and it doesn't look like you'll likely be able to. To break this down for you the company did not have enough money in the bank to continue its operations. Right now they are looking at all options including a bankruptcy filing, a receivership or a structured windup of business operations. Big Lots: This discount retailer sells some groceries in addition to their home and yard décor. We follow a gluten free diet, and gluten free flour can be expensive. Our favorite, Bob’s Red Mill 1-to-1 Flour regularly sells for approximately $12 to $14 for the 44 oz. bag. It sells at Big Lots for $7.80 a bag. We also enjoy Beanitos chips, but they usually run $3 to $4 per bag. At Big Lots, we found them for $2 a bag. Azure Standard: This store is based in the Northwest. They sell health foods, organic and regular produce and many other items. I belong to a buying club, and once a month we place our orders (with a $50 minimum per person). Eight days later, the semi-truck arrives with the food for delivery, and I pick it up from another member’s house. I have found great deals on organic apples and pears for less than $1 a pound. Spice prices are unbelievably low. Since we can’t eat corn, either, we like to buy the brown rice tortilla wraps. At most stores, these sell for $4 to $5 per pack of 5 tortillas. At Azure, I can get them for $2.61 a 5 pack if I buy in bulk, which I do. Bountiful Baskets: Bountiful Baskets is a food co-op that delivers their baskets every week or in some areas every other week. Since they place orders in bulk for all of the customers, they’re able to get steep discounts. They offer both conventionally grown and organic produce baskets. The conventionally grown produce costs $15 per basket, and the organic, $25. They also offer add ons such as bread, smoothie ingredients, etc. that you can choose from. Aldi or Save-a-Lot: These two stores offer rock bottom food prices, but know that they are also no frills.You have to pay a .25 cent deposit to use the cart, and you’ll need to bring your own bags and pack them yourself or use the boxes they have available at the store. I used to shop at Aldi fairly regularly, but now where we live, neither of these stores are available. Costco: Sure, Costco can save you on groceries, but I had no idea how much. Every year I easily recoup the cost of my membership just by buying organic soy milk (we can’t have dairy), rice in 50 lb. bags, and organic produce.I can buy a one pound package of organic lettuce or spinach for $4.00, which is a real steal. A 10 lb. bag of organic carrots costs $4.99. We go through 20 lbs. of carrots a month, so that’s a great deal! Find a local organic farm: Use a site like localharvest.org to find a local farm near you that you can buy from. Join a CSA: With a CSA (Community Supported Agriculture) a farmer offers a certain number of “shares” to the public. Typically the share consists of a box of vegetables, but other farm products may be included. Interested consumers purchase a share (aka a “membership” or a “subscription”) and in return receive a box (bag, basket) of seasonal produce each week throughout the farming season. Thrive Market: An online marketplace that offers all the non-GMO, Organic, Gluten-Free, and Vegan foods and healthy products you love at 25-50% below retail price and all shipped right to your front door. Butcher Box: ButcherBox delivers 100% grass-fed beef, free range organic chicken and heritage breed pork directly to your door. Another option to get reduced price food is to get involved with a food buying or food sharing program. Details at the link. Have your own alternatives to Zaycon Fresh? Tell us in the comments! If you follow any frugal bloggers or vloggers, you have probably heard of Zaycon Fresh. Zaycon Fresh is a company that takes the middle man out of ordering meat. You order online and pick up the meat at a designated location near you, direct from Zaycon. You get a lower price than you would likely pay at the grocery store for your meat, and in return you have to buy the meat in bulk. For example, I recently bought 20 pounds of wild caught salmon for $7.99 a pound, but I had to buy in 20-pound increments. If you’re looking for a way to cut your grocery bill and fill your freezer, Zaycon may be for you. If you join Zaycon’s mailing list, you’ll regularly receive emails for deals. Just recently, they had a sale for 22% off for three days. You could go to the site and buy any type of meat that was being delivered in your area in the upcoming months and get 22% off. I took advantage of that particular sale to get the salmon mentioned above at such a discounted price. We loved, loved, loved the salmon and plan to order more. It was tasty, quality fish at a great price. Many on the Internet have raved about the high quality of Zaycon’s meat and fish. Buying in bulk (as you must do with Zaycon) can help you stock your freezer at a discount. Many people buy 40 pounds of chicken and then process it that day into single serve packages and freezer meals. As you buy more and more Zaycon products, you’ll be able to easily stock your freezer so that you never have to pay full price for meats. Shop your freezer instead of the store! If you refer friends to Zaycon, you earn $5 in credit for their first purchase, and then $1 for each order that they place and pick up after that. Best of all, there is no limit to the number of referrals and credits you can earn! As with any good product, there are drawbacks. Zaycon does have one major one that keeps me from ordering as often as I would like. The other, smaller drawbacks I can work around. The biggest drawback for me is that I have to pay the money upfront for a product that I won’t get for another month or longer. When I paid for salmon, I had to wait six weeks after I paid for my order for the delivery date. Depending on how tight your grocery budget is, taking advantage of the savings can be difficult when so much money is required well before you get the food. Our delivery date was six weeks out, but we ended up having to wait eight weeks to get our salmon because they changed the delivery date. I’m not sure how frequently this happens, but I did find it inconvenient. Luckily, my schedule is flexible, so we were still able to get our product. If you can’t get your product on the rescheduled date, you can contact Zaycon and let them know. For some who don’t have additional freezer space or have a small household, buying in bulk may be difficult. However, you could always split the order with a friend or two so that you’re not getting as much meat at once. 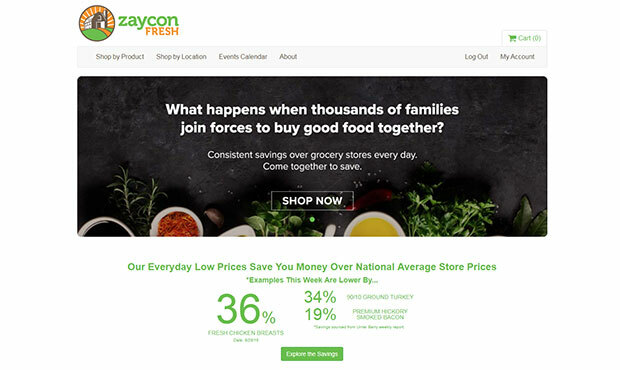 If you’re looking to lower your grocery bill and buy in bulk, Zaycon Fresh may be just the company for you. We plan to order salmon again, and we’d like to buy more meat as we have room in our grocery budget. 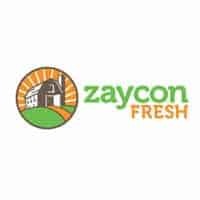 Have you bought from Zaycon Fresh before? If so, what was your experience. Would you recommend it? They're now out of business! 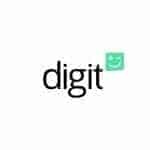 Digit.co is an automated, online, free and FDIC insured savings account that helps you to save money, without even realizing. Savings just happen automatically! Last Edited: 2nd July 2018 The content of biblemoneymatters.com is for general information purposes only and does not constitute professional advice. Visitors to biblemoneymatters.com should not act upon the content or information without first seeking appropriate professional advice. In accordance with the latest FTC guidelines, we declare that we have a financial relationship with every company mentioned on this site.